Arnold (Arnie) Komisar, MD, DDS, an Active Fellow of the ALA, passed away on April 20th, 2015 at the age of 67 years of age after an extended battle with cancer. He was inducted into the ALA as an Active Fellow in 1993. Born on November 27, 1947 in Brooklyn, New York, Dr. Komisar received his undergraduate degree from Bradley University and later attended NYU, from which he received a DDS. He continued his medical education at Hahnemann Medical College in Philadelphia, Pennsylvania where he received his medical degree. He completed his internship in general surgery at the Beth Israel Medical Center and his residency in otolaryngology at the Mount Sinai Medical Center. Dr. Komisar was a leader in thyroid and parathyroid surgery and he was highly recognized for his pioneering of a ground-breaking and minimally invasive salivary gland operative surgery procedure in the United States. In addition to being a leader in the aforementioned technique, Dr. Komisar was also an active research physician, serving as Clinical Professor of Otolaryngology at the NYU School of Medicine and Professor at Hofstra North Shore-LIJ School of Medicine. He was frequently invited to serve as a guest lecturer here in the United States and internationally. To his credit, he authored over 100 papers, book chapters and textbooks.  He was the recipients of numerous awards, including the Triological Society’s prestigious Mosher Award and several Honor and Distinguished Service Awards presented by the American Academy of Otolaryngology – Head and Neck Surgery. Arnie, as he was known to those closest to him, was a devoted husband, father, and friend. He is survived by his wife, Marcella, brother, Sydney and niece, Lexie and nephew, Johnny. He will be greatly missed. Services were held on Wednesday, April 22nd 11:45am at “The Riverside” 76th Street and Amsterdam Avenue in New York.